Get Negative to Positively Grow Your Chest! 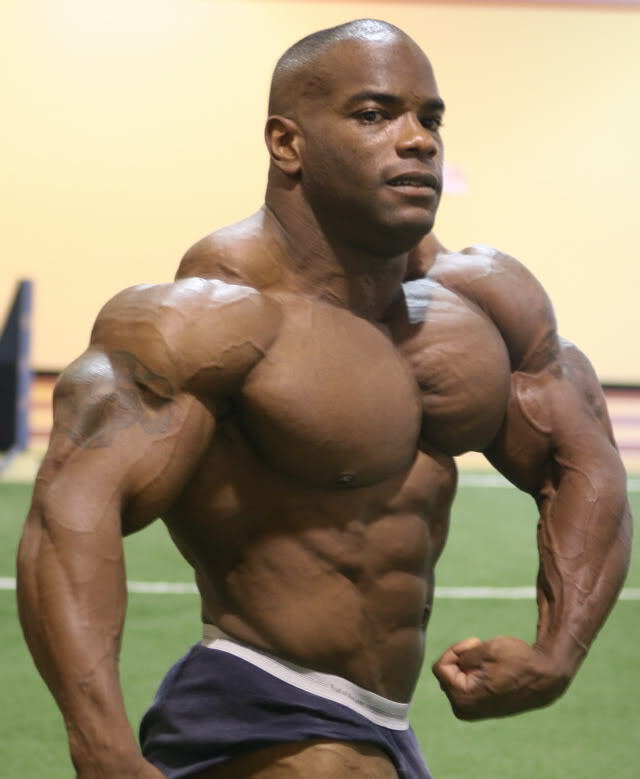 Josh has used this technique with pictured IFBB Pro Johnnie Jackson along with Branch Warren and Cory Mathews. Mindset is everything; a positive one can literally help you bust through growth plateaus in almost every area of your life. If one of those plateaus is chest development you need to transform your mindset to a negative one! What do I mean by a negative mindset? I mean training with negative or eccentric overloads! Bodybuilding legend and training guru, Dorian Yates, has stated that the biggest mistake most bodybuilders make is not focusing on the negative portion of a lift. When the legend speaks—I listen and so should you! There is no doubt, with correct application, eccentric muscle action catalyzes muscle growth. Did you know that some folks can do 170 percent on a negative of what they could with positive? Neglecting this leaves an empty seat at the muscle-building table. There are so many reasons why eccentric training has been shown, in numerous studies, to be superior for muscle growth; the reasons range from preferential fast-twitch muscle fiber recruitment, increased muscle tension, increased ability to do work, greater amounts of muscle damage and the list goes on. I suggest if you want to know the ins and outs scientifically do a pub med search or just corner a doctor next time you are at a cocktail party. If you are more interested in what works and how to do it, I want to share a movement I have done with every bro to the top pros including Johnnie Jackson, Branch Warren and up-and-coming Cory Mathews. Important note: This exercise works best drawing out eccentrics, so take 5–6 seconds to lower the bar, then forcefully press it back up. This is a highly-advanced technique and should be used only with caution. Like other intense eccentric and accommodated resistance techniques, avoid them on deloads/light weeks. Of course we would not just tell you about an exercise without providing you a routine. This routine is extremely intense and should be used by intermediate and advanced lifters only with a minimum of two years of lifting experience. *Use 20 to 50 pounds more on the negative than the positive. Draw out the negative for a steady five-second pace. **Start with a weight you can do 8–10 steep incline reps with. Once you reach momentary muscular failure, drop to a medium incline and perform repetitions to momentary muscular failure. Finally, drop to a low incline and perform repetitions to momentary muscular failure. ***Emphasize stretch, not heavy weight; build the muscle not the ego. ********Emphasize stretch, not heavy weight; build the muscle not the ego. Start getting negative to positively grow your chest! Enough talk, you have been given the tools—time to hit the pig iron! 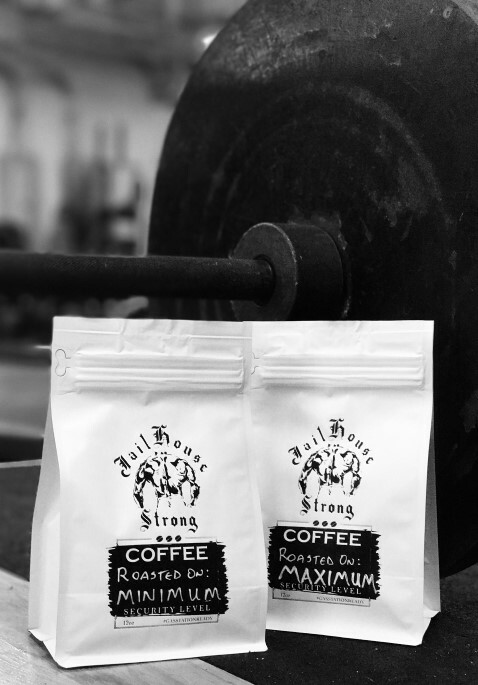 Incorporating the Jailhouse Strong Motto, “Individual over the Institution”, we have partnered with Kaz in bringing 100% Colombian Excelso beans from the highest elevations in the Narino Region and roasting to your choice of Minimum or Maximum Security. Minimum Security– Medium roasted bean. Coffee brewed from beans roasted to this degree will present the full flavor of the bean. Maximum Security– Dark roasted bean. Coffee brewed from beans roasted to this degree will present the flavor of the roasting process.